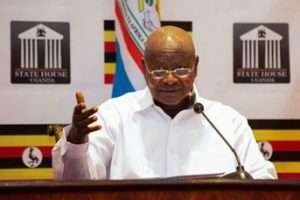 BBC- Ugandan President Yoweri Museveni has called Somalia a country with no state and which lacks “organised authority” in a televised speech in the capital, Kampala. Mr Museveni was speaking at an annual judges’ conference.In his speech, Mr Museveni also questioned the effectiveness of the UN. He criticised the UN for having been in Congo “since 1960 but people are dying like flies.